The most perplexing, difficult and loving relationship we will ever experience will be the one we have with our mothers. Our mothers are our first love and our life long teacher. Unfortunately, through the years, we can drift apart through conflict and misunderstandings. Many of us won’t find our way back to that sacred relationship until it is too late. To anyone who choses to listen to me, I tell them that they can have a loving relationship with their Mom too. It is not that difficult, all it takes is a shift in consciousness. Then I tell them my story and how it came to be that I held my Mom in the highest esteem possible. I am honoured to say that I had a profound and extraordinary relationship with my Mom until her death in 2016. The beauty is my love for her didn’t end with her death, I continue to love her from deep within my soul. When I was younger I feared my Mom and didn’t understand her. She was an enigma to me. She constantly yelled out orders to us, clean this, do that, do it again from morning until bedtime. I learned how to do things quickly and stay out of her way. She was a strong willed woman raised in a traditional Denesuline lifestyle, a lifestyle I didn’t understand nor appreciate until I was well into adulthood. Thankfully, she gave me the gift of the Densuline language, my most prized skill. My relationship with my mom changed by accident. 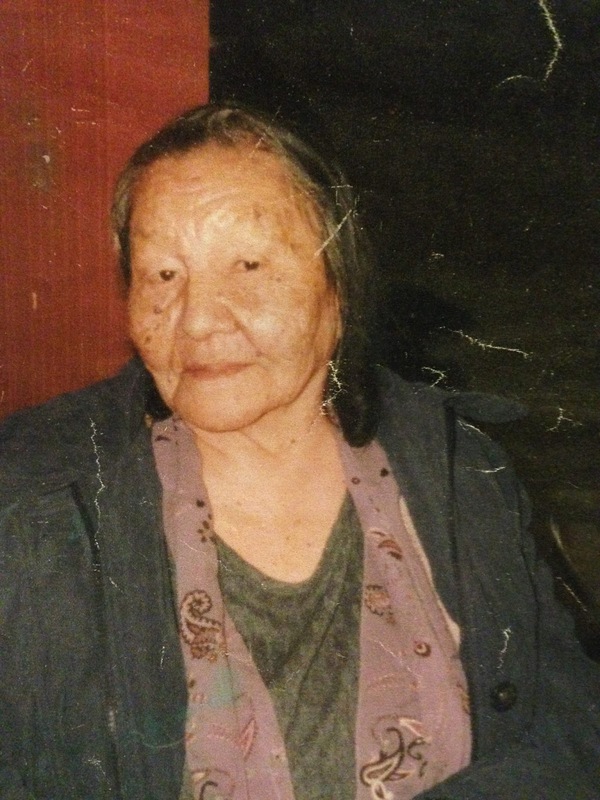 One day, while driving with a colleague to meet with a First Nation community north of Edmonton, my passenger began talking about her Mom, with whom she had a difficult relationship. She mentioned that it wasn’t until after her death that she understood her and she was regretful for the wasted years. She went on to say that it was through taking a course in communications that opened her up to possibilities for creating exceptional relationships. I was intrigued. I enrolled in the 3½ days Communications Course with Landmark Education. It was an intensive and arduous course that went deep below the surface to find the core of what makes us who we are. Many participants had breakthroughs that weekend. I didn’t enrol in the course with the intent to work on my relationship with my Mom; instead I wanted to be a better communicator. It was half-way through the course when what someone said triggered a memory of something my Dad said when asked if he minded when Mom bossed him around. He responded: “She is who she is.” At this juncture, in this course, this made perfect sense and I really got what he said. It was transformational; it changed my life and profoundly changed my relationship with my Mom. SHE IS WHO SHE IS!!! She didn’t have to change. I didn’t have to wish she were different. She is who she is. She is the culmination of her parents, grandparents, relationships, and her experiences. All I had to do was change my perspective towards how I “saw” her. She didn’t have to do anything, just be herself. Simple but powerful! This is her story. My love for her grew and grew; it grew way beyond me. She is the ultimate love story of my life. Miss you Mama. May 8, 1919 – February 12, 2016.